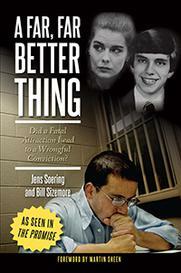 During that time, former UVA honors student Jens Soering has insisted he did not murder his girlfriend’s parents in Bedford County – that he confessed to the crime only to protect her. Thursday’s hearing will involve some new advocates – fellow German citizens living in Virginia. A group of eight German businessmen met over lunch in suburban Richmond this week to talk strategy. 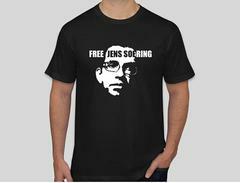 They want Virginia’s parole board to send Jens Soering home. Michael Kuhn is a lawyer who represents several companies in German-speaking countries. He does not believe Soering could have acted alone –killing two people with a knife – as claimed by the prosecution, and he notes Soering has been a model prisoner. He argues that an international treaty requires Soering be sent back to a prison in Germany, and failure to comply is bad for business. Virginia’s Secretary of Commerce and Trade, Todd Haymore, says Germany is an important international player in this state’s economy. Several petitions are circulating in Germany, demanding Soering’s release, and the head of that country’s Parliament has signed one of them. A representative of the German government may be on hand Thursday at noon, when advocates, including Michael Kuhn, will be allowed to address a single member of the parole board. She has agreed to extend the hearing time from the usual 30 minutes to an hour.